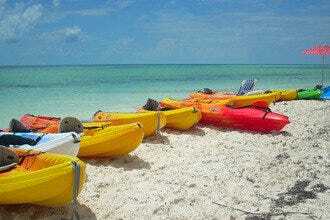 Uncover the culture, history and adventuresome nature of the Bahama Islands through site visits, guided tours and activities on the land and in the waters surrounding Nassau and Paradise Island. 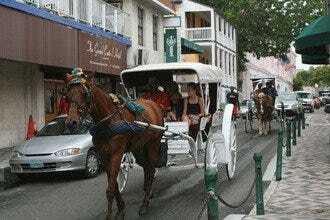 Settled by the British and American Loyalists escaping post Revolutionary War consequences, Nassau is a mixing pot of cultures. 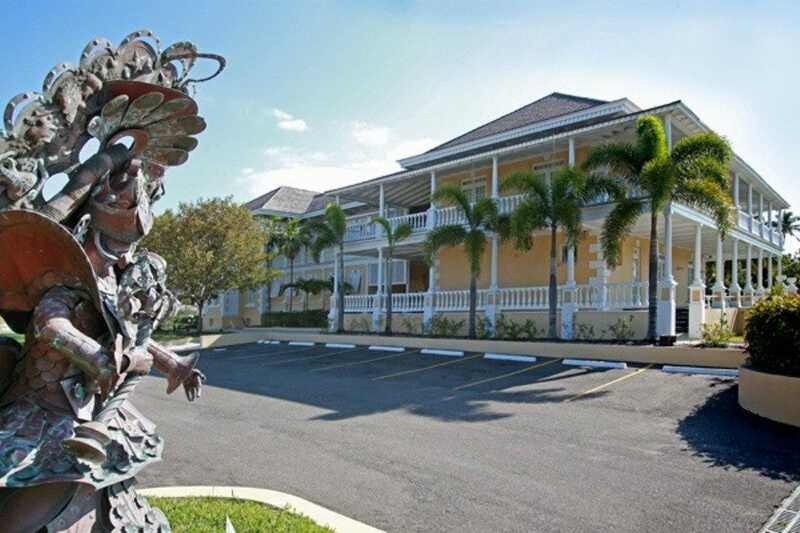 The Loyalist planters brought with them their slaves, introducing African traditions and heritage into the mix for a rich diversity of culture and history you can experience throughout Nassau and its environs. Attractions such as Pirates of Nassau and The National Art Gallery of the Bahamas in downtown Nassau familiarize visitors to the island chain's fascinating, swashbuckling bygones and vibrant arts scene. The city is full of historic sites and places to experience the culture, which explodes during the holidays with the world-renowned, flamboyant Junkanoo street festival. Just make sure you do not leave Nassau without experiencing one of its greatest treasures - its clear, multi-hued waters and what lies underneath. 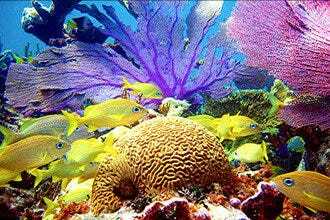 Any number of sailing, boating, fishing, snorkeling, diving and marine animal interaction charters and tours can get you out and into the clear blue. Or stick land side for your adventure at local resorts that offer everything from a high-roller casino,and golf to making chocolate and rolling cigars. If you are willing to dish out the cash for a wristband, a day at Atlantis can provide an activity-filled addition to your Nassau vacation. Its 63-acre Aquaventure offers every sort of water park feature you can imagine â" from lazy rivers and insane water slides to encounters with dolphins and mammoth manta rays. Fantasy aquariums such as a glass tunnel of sharks and The Dig, themed on an archaeological excavation of the mythical Lost World of Atlantis, are enchanting. 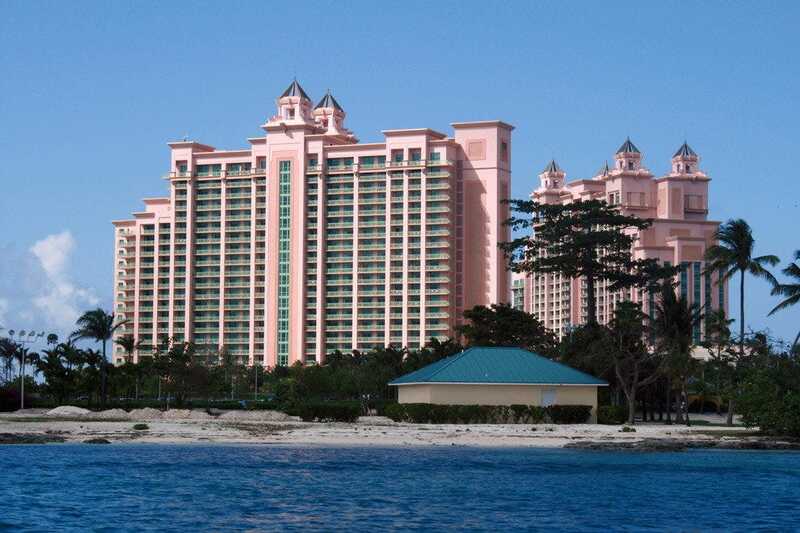 If the casino is more your style, drop the kids off at the Atlantis Kids Club or awesome CRUSH teens club. 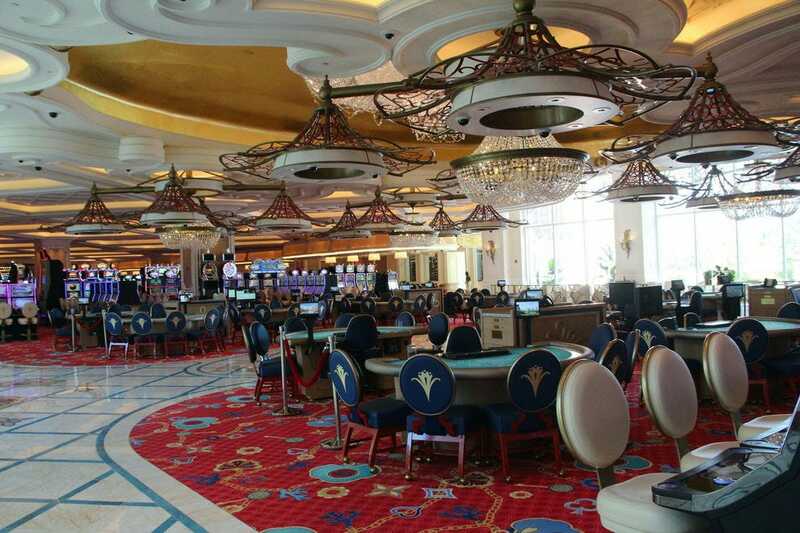 At 60,000 square feet, the casino claims to be the biggest in the Caribbean, with 1,100 games and tables. Food outlets, bars and clubs mean you can spend hours without leaving â" or until your cash runs out. John Watling's Distillery packages rum at the Buena Vista Estate in downtown Nassau - a lovely collection of buildings with a storied past. 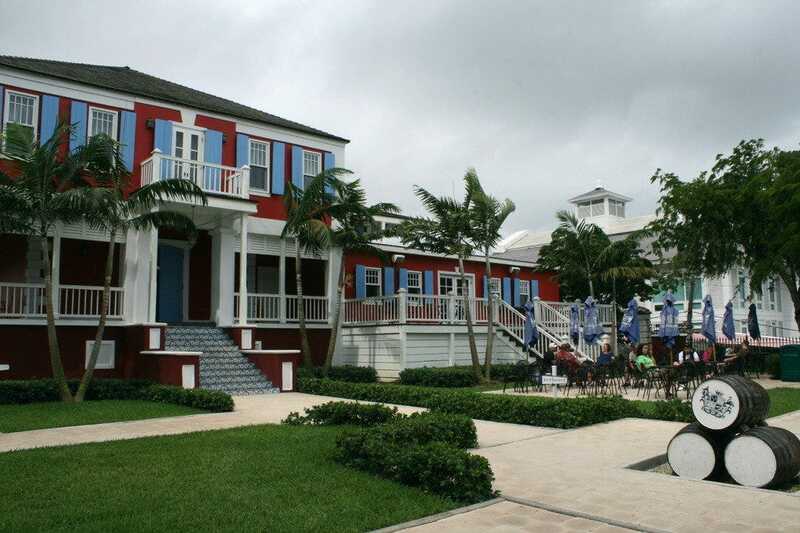 Take the short tour of the distillery, sample the rum and enjoy the view of the harbor from the historic estate. Tours of the distillery are complimentary and museum-like, with informative tour guides and interactive signage. John Watling's three varieties of rum (pale, amber and Buena Vista) are available for purchase in the store and in the signature cocktails made in the Red Turtle Tavern. The name is a bit of a misnomer, however, as the rum is distilled elsewhere in the Caribbean and merely bottled on site. Junkanoo, a uniquely Bahamian spectacle, brings to mind the high energy, vibrant color and rhythmic sounds of Mardi Gras. 10Best.com and USA TODAY readers recently voted it the Best Caribbean Festival. Although its roots reach back to the 17th century, Junkanoo continues to draw the community together every December 26 and January 1 for an incredible pre-dawn "rush-out" procession down Bay Street. Smaller Junkanoo bands often perform at Nassau attractions, resorts and clubs year-round. Goat-skin drums, cowbells and whistles provide the percussion to which huge bands dressed in extravagantly colorful theme costumes march and dance. The energy is contagious and charges the entire town up. Spectators often get caught up in the dancing and spirit of party. Junkanoo is to the Bahamas as Mardi Gras is to New Orleans: defining. Even more so than Mardi Gras, because the holiday-time street festival incorporates and informs every form of the arts in the Bahamas. Junkanoo bands spend countless hours and dollars on their annually changing costumes - more like human floats designed for the year's theme. 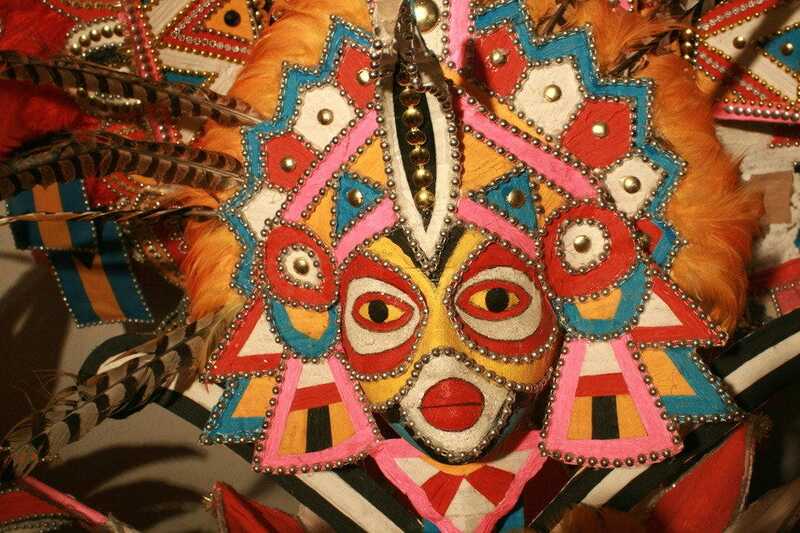 The tradition deserves its own museum, and this place preserves the costumes, music and performance art that is Junkanoo from the old days when costumes were made from newspaper and sponge, to present-day crepe paper works of art. Near the National Art Gallery of the Bahamas,it has been open for several years as a school field trip destination, but recently blipped on tourism's radar. Nassau's only casino, it replaces Cable Beach's longstanding Crystal Casino in a separate building integrated into the lobby of the Grand Hyatt Baha Mar. Touted as the largest casino in the Caribbean, it defies old stereotypes with natural lighting through walls of windows looking out at water features and the sea. It comprises 100,000 square feet of gaming space, holding more than 1,000 state-of-the-art slot machines, 126 table games, race and sports betting, mobile gaming, exclusive high roller gaming salons and a flank of restaurants, bars and luxury shopping. The casino features butler service in the high-end gaming areas, high-limit betting and private gaming salons, and a VIP entryway. Live table games include black jack, roulette, baccarat and craps. Graycliff, a short uphill walk from Bay Street, has been the first name in lodging and dining in Nassau since 1973. 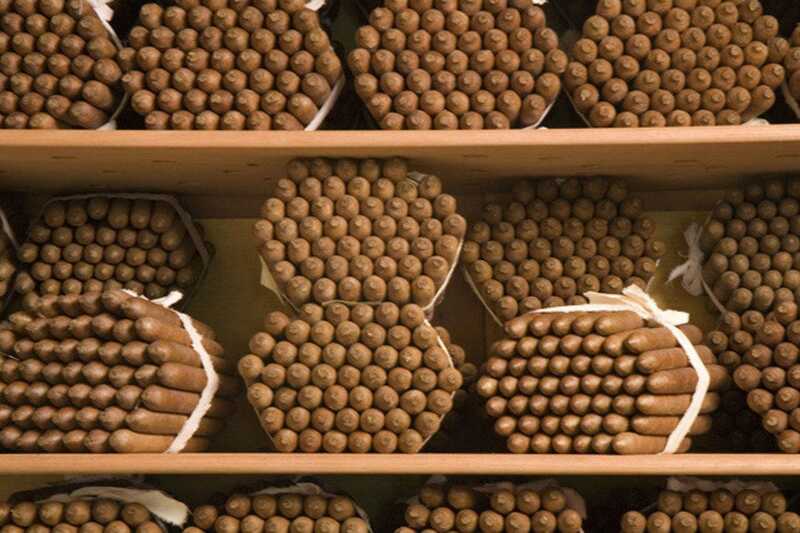 In 1977, it added a hand-rolled cigar factory to its operations dealing in the finer things in life. In 2012, owners opened a chocolate factory. Today a heritage museum and artisans village complete the experience. Shopping and dining at Graycliff becomes an immersive experience. You can do a tour of the factories and even sit in on chocolate- and cigar-making experiences. The chef offers wine tastings and cooking classes. Ask for a tour of its wine cellar - the third largest in the world. You can buy chocolates, humidored cigars, Graycliff Coffee and other fine gifts in the two factories and also in the Heritage Shoppe across the street. Housed in the beautifully restored 1860s-era Villa Doyle, it opened in 2003 and has managed to collect a number of important works, which it cycles through the museum via changing exhibits. Bahamian artists are the collection's primary focus, but there are works by ex-pats as well, including some stunning Winslow Homer Bahamas landscapes. It includes paintings, sculpture, textiles, ceramics and photography from notables such as Stanley Burnside, Amos Ferguson and Antonius Roberts. While the art on display is typically not for sale, a gift store on site features an impression collection of handmade artwork, soaps and candles, quilts, sculptures, jewelry and hand-woven baskets. 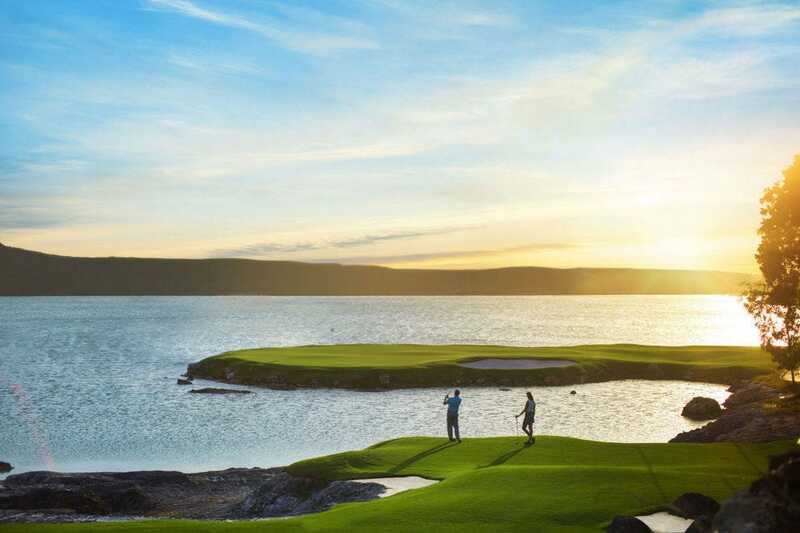 The Jack Nicklaus designed Signature Golf Course features 18-hole, 72-par links that can be customized daily according to the weather, playing conditions and golfers' level of experience. The flexibility allows visitors multiple golfing experiences during their stay, while maintaining a similar overall yardage. 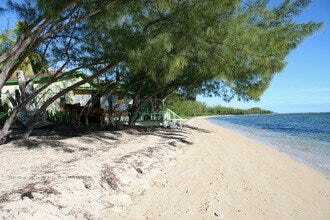 The front nine holes have dramatic views of rolling fairways and white sand dunes, brackish ponds and the sea. Stunning limestone features and steep downhill terrain characterize the back nine. The island green on the 16th hole borders a lake. The course spans 7,189 yards. Its beauty, difficulty and challenges make the course enjoyable for golfers of all levels. The course and its clubhouse and restaurant are open to the public. This interactive museum in the midst of downtown Nassau whisks you back to the year 1716, when the Golden Age of Piracy reigned. The ship "Revenge," as the story goes, is moored in the Caribbean while the crew celebrates in typical pirate fashion. At first light they set sail for Nassau. 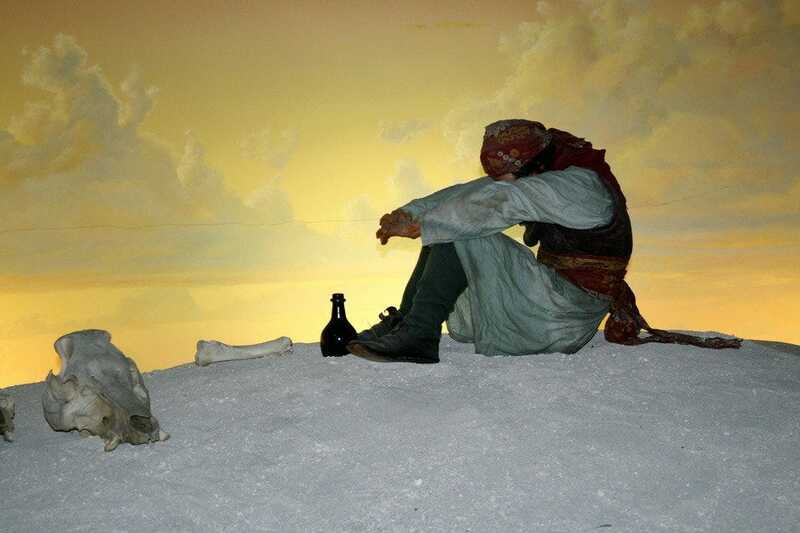 Vignettes, interactive Q&As and realistic sound effects expose the non-romanticized fact and fiction behind Nassau's celebrated swashbuckling past. Lightly educational, the museum is entertaining for families and anyone with a fascination for this chapter of island history. An attached pub and gift shop will happily rob you of your money. With just 65 steps spanning 102 feet, this is a steep ascent from Elizabeth Avenue to Fort Fincastle and the Water Tower. 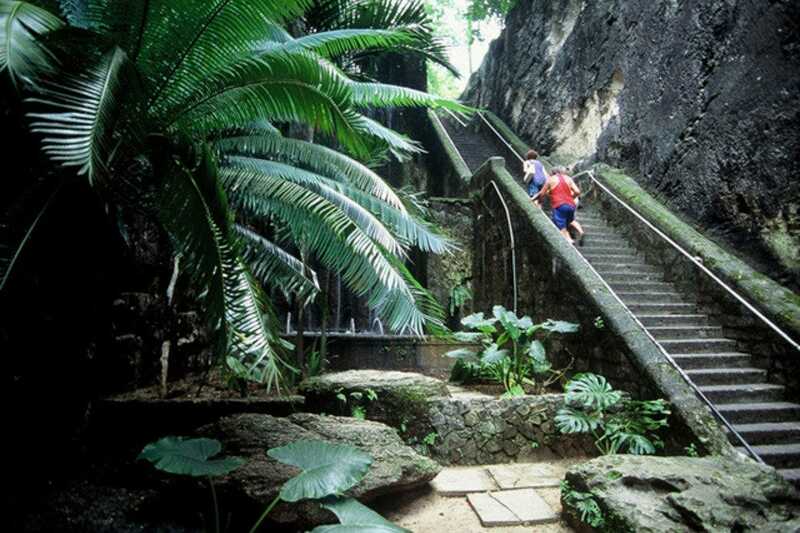 Carved out of a limestone wall by 18th century slaves, the steps once afforded soldiers protected passage from the fort to the town. Lush vegetation flanks the stairway and water cascades in to a pool below. 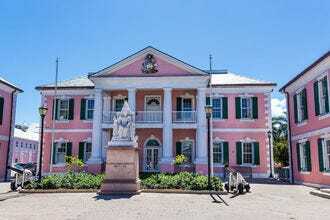 Named to honor the 66 years of Queen Victoria's reign (there were originally 66 steps), this is one of the most popular stops in Nassau and is on the agenda of most cruise ship shore excursions. Residents and fitness buffs also use the steps regularly, so they can get quite crowded at times.